See Oprah's Online Book Club link below! Lit Lovers offers free courses on understanding and enjoying literature in addition to discussion guides, book recommendations, and advice on running a book club. Reading selections, discussion guides, and tips on starting and running a book club - lots of useful information. Reading selections, discussion guides, and tips on starting and running a book club, among other things. Offers book recommendations and other advice to book clubs, as well as reading guides. List of web resources for book clubs from Internet Public Library. Tuesday, April 9, 2019: Clifton Book Group Meets at the Clifton Library the second Tuesday of the month from 3 p.m. This month we are discussing The Secret Gift by Ted Gup. Contact Carrie at 434-6936 for more information. Thursday, April 18, 2019 Kiva Book Club Meets at the Central Library the third Thursday of the month from 6:30-8. Join our discussion of Something Like Happy by Eva Woods. Contact Jennifer 683-2429 or Michele 683-2425 for more information. Thursday, April 18, 2019: Collbran Book Club Meets the third Thursday of the month at 7 p.m. September through May at 7 pm in Collbran. This month we will be discussing Eager by Ben Goldfarb. Contact Julia at 487-3545 for more information. Wednesday, April 24, 2019: Beyond Words Our daytime book club meets at 10:30 a.m. the fourth Wednesday of the month in the Central library. Join our discussion of The Maximum Security Book Club by Mikita Brottman. 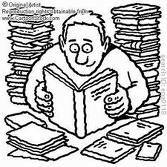 A wide variety of subject lists, which include book lists. These websites allow users to create virtual bookshelves to keep track of their own reading, as well as find recommendations and make connections with others based on mutual reading interests.